Places are available at ABTA’s new conference for the cruise industry in central London Wednesday 14 March. It looks at the growing market of travellers of all ages and demographics who have not traditionally considered cruising including families and multi-generational groups, millennials, solo travellers, all-inclusive holidaymakers and the over-50s. Next month BTN will include a full news roundup but since Disney opens sales for its 2019 European programme next Thursday (8 March) a short preview is not out of place. Disney Magic is coming across the Atlantic for a series of departures including a British Isles circumvention starting 8 September out of Dover. She will call on seven new ports in Europe for the first time in 2019, including Gothenburg and Nynashamn (Stockholm); Toulon (Provence) and Brest; Cartagena (Spain); Fredericia (Denmark); and Belfast. 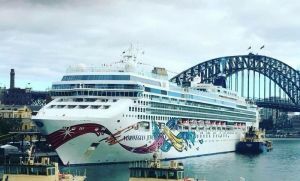 This March issue of BTN’s monthly cruise issue is written by the editor in chief on Norwegian Cruise Lines (NCL) Norwegian Jewel in the very calm Torres Strait, north of Cape York routing from Cairns to Darwin. The wi-fi set-up is excellent throughout the ship and a little slower than a land-based system. That is to say it is not perfect and does go down from time to time, but our fibre cable office system is not flawless either. The 18-day trip routes Sydney, Newcastle, Airlie Beach, Cairns, Darwin, Komodo Island, Benoa (Bali), Semarang (Java) and finally Singapore. We expected the ship to be dominated by Aussies. It was not to be, with 1,400 Brits the majority, followed by 320 Germans (who virtually all spoke English and will continue to do so after Brexit), 420 from North America and just 140 from the Dominion. Sixty nations were represented by the staff. In fact Jewel is not new to Business Travel News. She featured in a review back in 2005 when debuting as the first of a new class of 90,000 tonne, 2,400-passenger ships including ‘Freestyle’ a concept of eat where you like, when you like, which has since then been imitated by much of the cruise industry. Jewel is capable of 25 knots, quick for a cruise ship. NCL’s guests are supported by 1,100 crew. With seven sea days it does give one time to reflect. Why do people choose cruising for their vacation? Is it just to get away for a period based on a floating hotel usually far larger than any normal holiday location? It is ‘all found’ if you are strong-willed not to spend anything on extras in a cashless society where it is so easy to just hand over your key card to register the payment on your bill. 24hr entertainment on offer. No beds to be made and dining included. This Australian trip in-fact typifies the type of person who comes on a cruise. They are every variety of traveller. One thing for sure, your cabin/stateroom is your home for the duration of the holiday and very comfortable. You are actually touring but no packing and unpacking is involved every night. And you can have your washing and ironing taken care of too. There are those who are on board for several months and say that not only is it cheaper than living at home, and they see different parts of the world too. For some it means staying on board for most of the trip and just resting, reading, and getting involved with on-board activities. For the majority it is an opportunity to view far flung places not really practical directly from home. A good ship plays an important part of the trip. If it is family holidays they are encouraged and from dawn until late children up to the age of 17 are very well looked after. Leave the kids on board and have a child-free day off the ship when in port. They will not miss you. Some ships are for adults only. 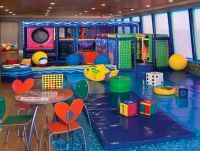 NCL encourage children and there are wonderful facilities for them to have a very enjoyable holiday whatever the age. A top-quality spa, first class sporting activities and always someone around to deal with any problems. Ships’ doctors are always on call, and there is land-based assistance if needed. 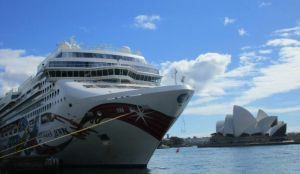 Cruising was the first part of the holiday industry to focus on assistance for those less mobile and all the modern cruise ships are wheelchair friendly. Back in 2009 BTN raised the issue “Cruising is a complex business” Nothing has changed much except that the number of ex-UK cruisers had jumped to 2m. If you do not like flying and live in Europe all the major departure points are easily accessible by rail and road, but normally it is by air. You can arrive at the departure port early and see what the locality has to offer. We chose Jewel after a successful trip on Jade last summer and an attractive schedule on offer. For us it was Qatar Airways from Heathrow, a change at Doha and on to Perth to see what Western Australia’s capital was all about. And then JetStar, the Qantas version of Ryanair, to Sydney. Joining Jewel was easy. Larger ships cannot get under the Harbour Bridge. The Circular Quay Cruise Terminal is in the heart of The Rocks social area, with the harbour ferries a very short walk away and the Opera House opposite the ship. It is a wonderful joining (or leaving) point for your cruise. Hotels abound, the Shangri-La sitting almost on top of the bridge with the dining room offering stupendous views. Quieter, and a much smaller offering, a dignified and relaxing presence, is the Langham and just 5min walk from the ship’s berth. The standard rooms at this hotel would be marketed as exclusive elsewhere. NCL introduced ‘Freestyle’ back in 2001 and after some initial teething trouble has refined the product. What it means is that you can dine at a time and place to suit you, within limits. The quality of food throughout the ship was excellent. You can book the same table and same waiter in one of the two large restaurants, or dine at a time to your convenience. There are 16 dining options, something open 24hrs per day. ‘Freestyle’ includes the final disembarkation of the ship. Choose your time and whether you want NCL to deal with your cases, or struggle yourself. It is a nice little touch. Likewise, the hotel director and staff make a point of being seen mid-morning in the pool area to deal with enquires and suggestions. For British booked passengers ‘Premium All Inclusive’ is part of your package and offers a wide choice of cocktails, spirits, beer, wine and soft drinks. Also included is speciality coffees plus tips and service charges. If you have a dietary requirement its best to tell NCL in advance but once on the ship catering are very accommodating. The alternative dining is paid for by way of a cover charge and the on-board currency is the US dollar, not the Aussie version. It is best to take the four-meal package offering really good value for a change of eating places. Cagney’s Steak House provides New York cuisine at a price (the bill for dinner, drinks and a fine wine can come to $100 for two); Moderno Churrascaria a Brazilian diner; there is the very popular Teppanyaki bar; Le Bistro French bistro; La Cucina Italian eatery; and for Asian food Chin Chin is complimentary. There is a large casino on board with smoking allowed (it’s virtually banned elsewhere except for the Humidor Cigar Lounge). The ship’s layout means you can bypass the gambling area as if it did exist by not using deck 6 when on the way to the splendid one thousend seat Stardust Theatre. Only 20 children on this cruise but last time there were 900 roaming around. As it turned out they all seemed well behaved with one of the larger than average shipboard pools banned for those under 18 and another pool for everyone. With this trip the large water slide was hardly used nor the kiddies dining area in the Garden Cafe. Deck space was a bit limited at times around the pools but the ship has sufficient alternative places to sun yourself and more than enough loungers. Sold as a tropical cruise it did rain from time to time. The standard balcony cabins are well equipped with plenty of storage space and nice touches including slippers and robes. There is a 24hr courtesy cabin dining menu, slightly limited but enough to keep the hunger at bay. A fridge is well stocked but you have to pay for anything you use. If you are on a tight budget the inside cabins are small but complete with all the essentials with deck space is not far away for sunning yourself. There are lots of nice touches around the ship typified by the carpets in the corridors. The fishes in the design swim towards the bow. It is not easy to get lost. In some ways it is a two-class ship with the top two decks given over to what is known as the ‘The Haven’, a series of sumptuous cabins and a private patio complex complete with dip pool and sliding roof. Breakfast and lunch can be taken in your room or Moderno. Access is via a private lift and various privileges are available. You can live your whole trip in this opulent area, or descend from time to time to join in the ship’s activities, and in some cases link with the children and grandchildren. On NCL’s larger ships this whole theme has been extended to include a larger pool and private restaurant. 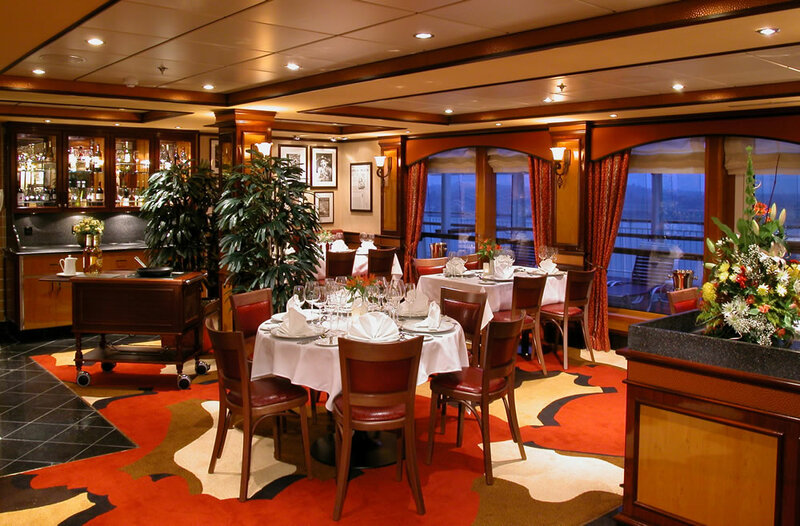 The breakfast and luncheon facility include the suites and with all the superior cabins there is a butler plus a concierge to look after on-board tour bookings and dealing with requets. It is a very useful touch. When the ship uses its tenders Moderno is the gathering point for quick access to the boats for qualifying guests. Jewel does have a fine library but as to its contents we are not sure. For whatever reason it is not computerised. You have to sign the books out by hand, and the actual works themselves are displayed by author alphabetically. This is OK if what you want was written by Shakespeare but supposing your need is a historical novel. Where do you start. No data base. The very limited reference books are not allowed out, which is fair enough, and there is a small selection in five languages. Braille guests are catered for as well as children. The major stage shows are planned for an international audience with the focus on Australia. One comic was terrific and would be a success in Edinburgh, the other best left in Sydney. The Aussie Boys, a quick-fire singing group, were superb. There is a large and well-equipped gym available 24hrs and also an open-air sports court with spectator seating. You can practice your golf driving too. From seven in the morning until well past midnight there is always some kind of organised activity. Bingo and game shows may not be to everyone’s taste but there is no need to get involved. With this trip is was very much an English-speaking vessel with some German announcements. The ship is very well laid out and never feels that large. 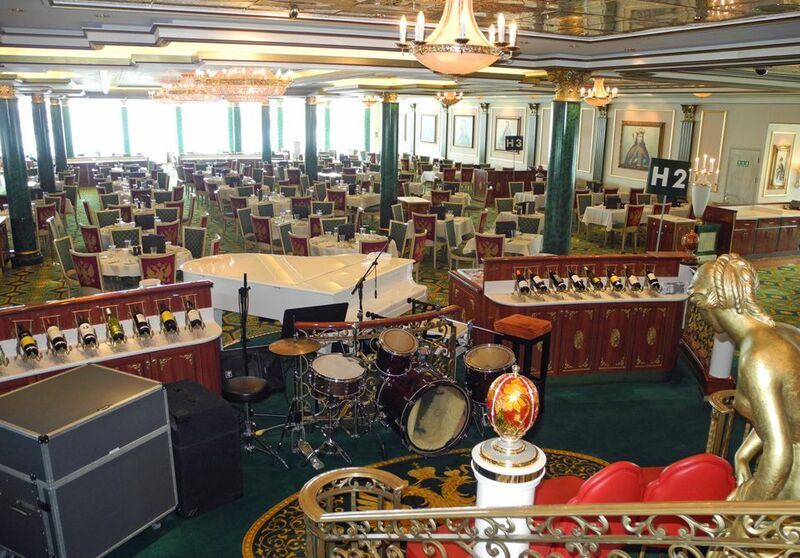 The promenade deck is nearly one third of a mile round, flat, and with room on the starboard side for shuttleboard, a very large chess set and various deck games. The crew are friendly, ever helpful, and there was a welcoming glass of Champagne upon embarkation. In recent times Norwegian Jewel has gained O'Sheehan’s Neighbourhood Bar & Grill featured on Epic, Breakaway and Getaway. 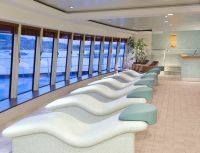 It is due for a refit in Singapore during September and no doubt NCL will be shortly telling one and all about whatever innovations are being introduced. Since our previous trip it has also added interactive touch screen signs which allow guests to order specialty items, get directions, reserve dining and add shore excursions simply with a scan of their stateroom key card. This is also on the ICafe which can be organised as an App on your phone available free. This gets over the problem of not having a ‘smart screen’ TV. Perhaps the cabin version can be added for the Singapore overhaul and an interactive film library rather like that found on long-haul aircraft. ‘Freestyle TV!’. Choose what you want, start when you like, and stop for a break anytime. The sales team does a good job on promoting the various off-ship tours but what is needed is authoritative insight into some fascinating destinations. We needed to know about the Barrier Reef and not just what we had learnt from Sir David Attenborough. And to prove the point our pilot for the trip around the top of Australia, Captain Geoff Gain, took it upon himself to give a couple of talks. He packed the Stardust Theatre firstly discussing The Reef, Captain Cook and the great explorers, and once we were through the Torres Strait, the history of the region. Helpful for Darwin, proving the point about providing local experts. Vancouver for middle of the year and mostly the Inner Passage and then back via the North Pacific, Russia’s far east and Tokyo finishing up for a refurbishment at Singapore. It is southwards to Sydney next October (virtually the reverse of this cruise) and the year-end holiday period including New Zealand and finally departing Sydney 13 February 2019 with the same ports as this trip except for an overnight in Darwin (19 days). Darwin is will be two days, a useful addition. If you are in the UK and considering getting away from the cold in 12 months’ time have a serious look at what is on offer. It got booked up early this time around and is likely to do so again. And treat yourself to Business Class on the way down. Arrive in Sydney ready to make the most of that fascinating city. NCL is a fine 4-star mid-size product offering very good value in a competitive market. If you want something more exclusive the Group offers Regent at 5-star plus, or Oceania for foodies. Australia is a very important market for the company with the Sydney headquarters situated right in the centre in Elizabeth Street, headed up by Steven Odell, once of the UK. Why such a large all-year-round operation you might ask? Easy and the passenger make-up of this voyage personifies it. Few Aussies. They book most of their cruises to Europe, North America and the Caribbean. Norwegian launches Bliss at Southampton in mid-April, before she crosses the Atlantic for a North American home. It is a very much larger floating vacation resort with even go-carts on board. We look forward to discovering what it is all about. Brilliant Malcolm! A very pleasant and informative read. Makes me want to try it out!